Bipartisan legislation introduced in US House of Representatives by Reps. Posey & Pierluisi on April 26, 2013! 290 Co-Sponsors NEEDED to approve H.R.1726! Click button below to see where we're at on the House bill! 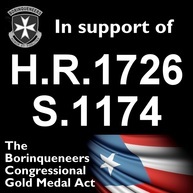 The Borinqueneers Congressional Gold Medal Act (H.R.1726) introduced by Pedro Pierluisi & Bill Posey! 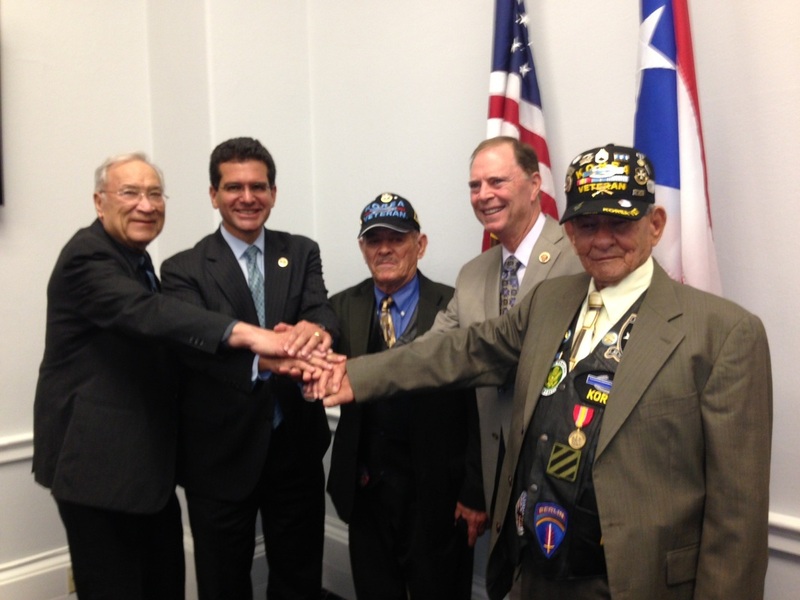 Borinqueneers with Reps Pierluisi & Posey, Sponsors of bill! 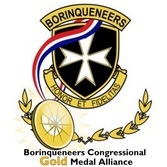 Borinqueneers Congressional Gold Medal Alliance announces that the "The Borinqueneers Congressional Gold Medal Act" (H.R.1726) was introduced on the floor of US House of Representatives by Resident Commissioner Pedro Pierluisi (D-PR) & Rep. Bill Posey (R-FL) on April 25th! 290 Co-Sponsors will be needed in the US House to approve this bipartisan bill! Companion legislation in the US Senate (S.1174) will require 67 Co-Sponsors. TEAM UP & Contact your US lawmakers AHORA! ¡Gracias! Pictured above are Borinqueneers Joe Pikar, Celestino Cordova and Dolores Nieves joining Congressman Pedro Pierluisi of Puerto Rico and Congressman Bill Posey of Florida in announcing the introduction of the Borinqueneers Congressional Gold Medal Act. They were joined by Borinqueneers Congressional Gold Medal Alliance members and the Cordova university interns from Puerto Rico! 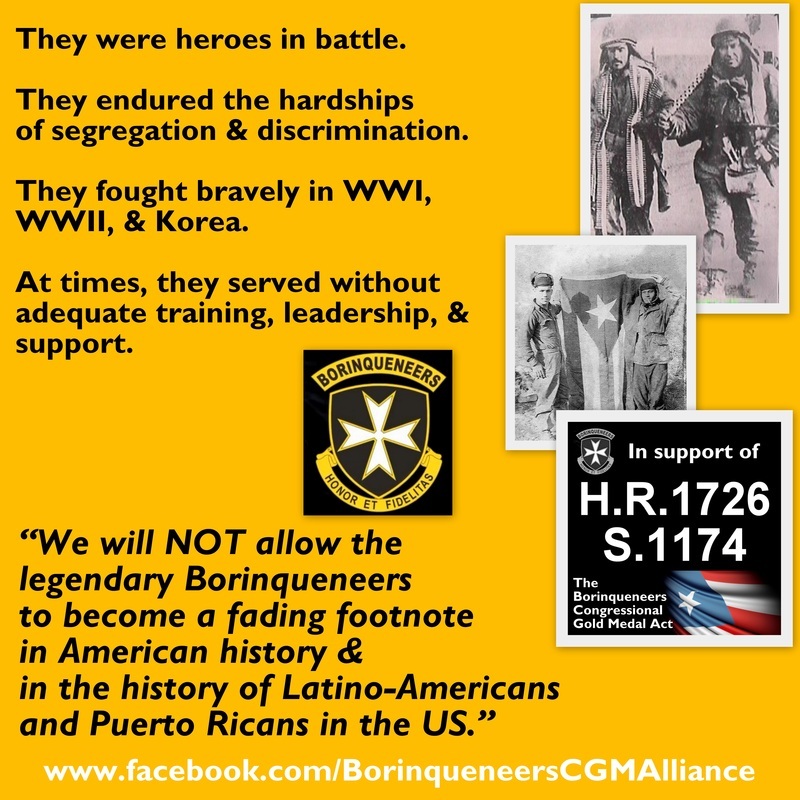 Borinqueneers CGM bill (H.R.1726) introduced in US House of Representatives by Reps Pierluisi & Posey! 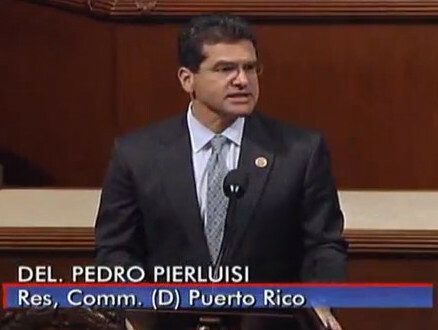 HISTORIC video below: Resident Commissioner Pierluisi speaks on US House floor! 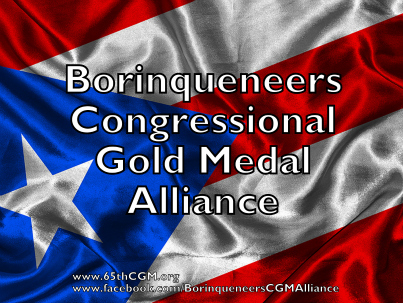 Remarks by Reps. Pierluisi & Posey to Borinqueneers Congressional Gold Medal Alliance following introduction of H.R.1726! Read text of Pedro Pierluisi's speech introducing bill! More Items from US House bill introduction! Rep. Pierluisi introducing the bill! 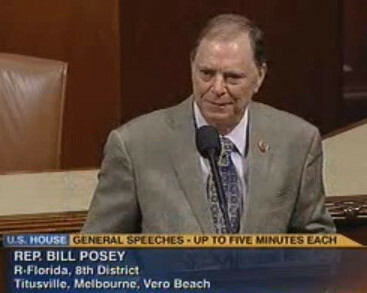 Rep. Posey introducing the bill!